After looking through the cards one by one, it quickly became clear that this is a deck like no other. It speaks to me because it’s a grown up Golden Dawn-themed deck with all the correspondences in ‘the right places’ IMHO… but the artwork has an almost childlike poetic quality to it, which allows for more vulnerability than the classic Thoth deck or the Liber T (a deck I never connected with). 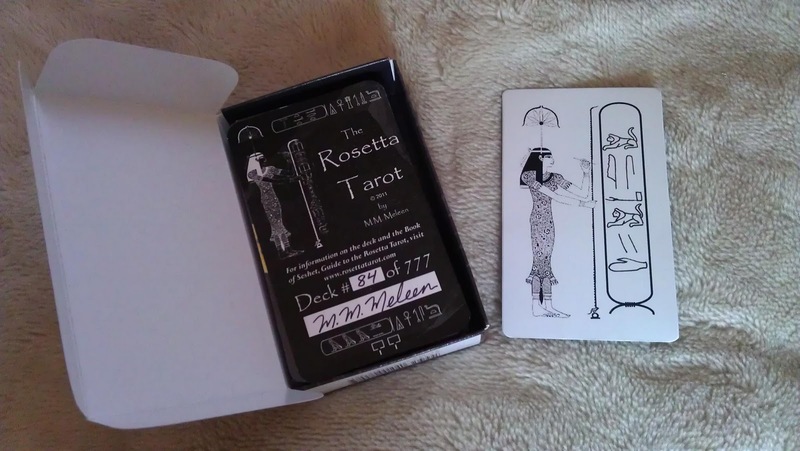 I do love my Thoth deck and it almost feels like I’m welcoming a new member of our little Thoth family with the Rosetta Tarot. The enigmatic deck creator M.M.M. also included an extra card with my name in hieroglyphs. (see pic below) To get your name card you need to order sharpish as this offer is time limited. And no, I’m not getting a cut of the takings before you ask, I’m just uber excited about this deck and don’t want my fellow tarotholics to miss out. 4. What do you bring to the table — what are you here to teach me? 2. My strengths – 10 of Cups (The Lord of Perfected Success): I can bring you emotional fulfillment and also help you let go of things, situations and relationships that no longer benefit you. I’m really great at making people feel good. Some call me a natural empath. 4. What I’m here to teach you – 9 of Wands (The Lord of Great Strength): If you listen carefully, I can teach you all about sound boundaries and who to trust. I’ll be your strength if you let me. 5. How you can best work with me – 4 of Swords (The Lord of Rest From Strife): Please try to approach me when you are in a detached frame of mind. I really don’t do stress and chaos. Get some sleep first. Seriously. You will need to engage your brain to get the most out of me. 6. 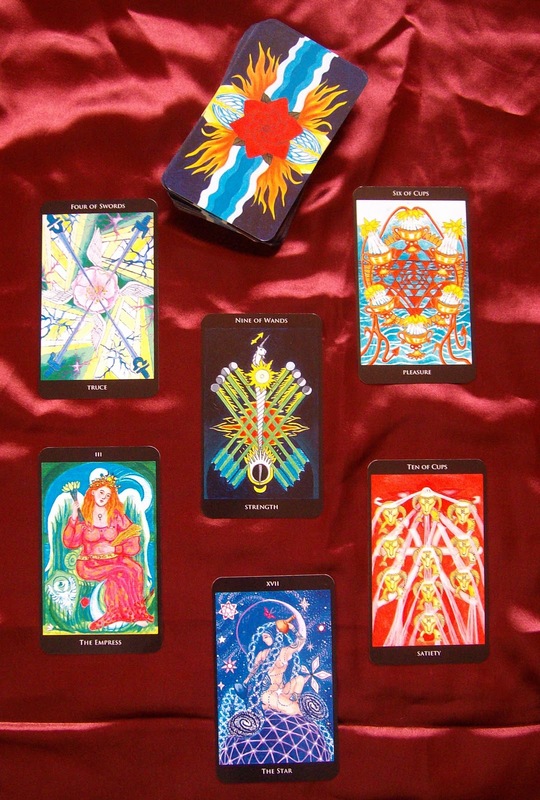 The potential outcome – 6 of Cups (The Lord of Pleasure): Do you think it’s a coincidence you feel like you’ve known me all your life? Think again. We’ve journeyed together before you and I. I’ve got your back.